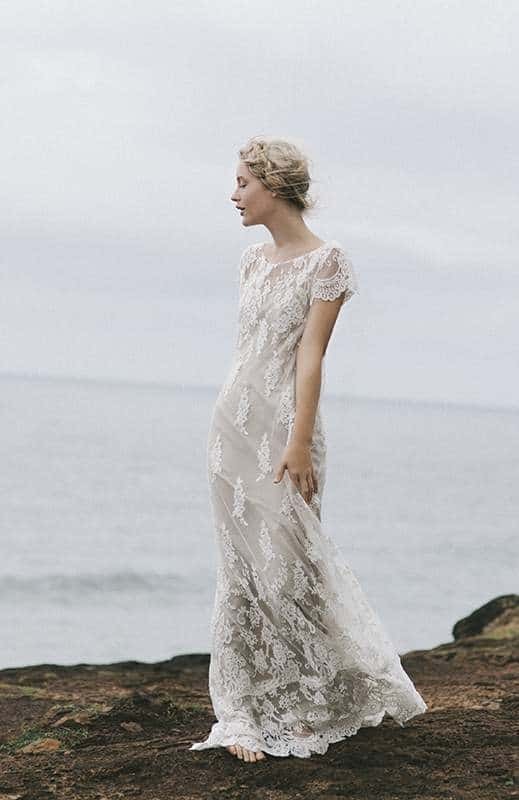 Lara Gown by Amanda Garrett made with a full soft French vintage-style lace overlay with cap sleeves and scalloped lace edge hem featuring a flattering scoop high neckline and plunging low back. 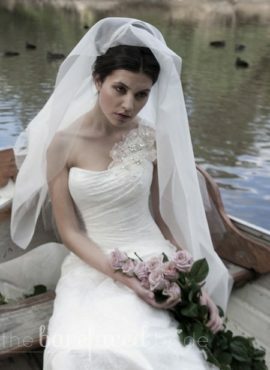 Comes with separate satin underlay sash. An elegant yet relaxed and feminine bridal style! 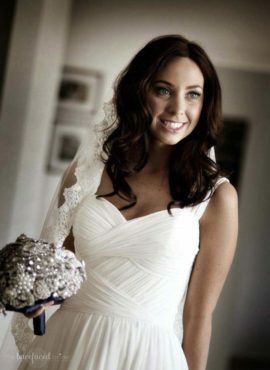 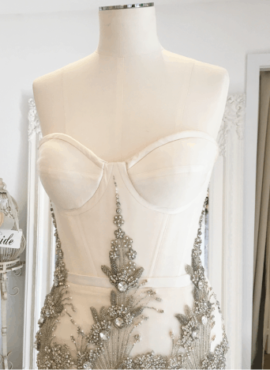 To make an appointment to try on this stunning designer wedding dress please contact The Barefaced Bride studio at info@thebarefacedbride.com.au.